The queer erasure of historical figures is an ongoing problem, but some people are working to make the true stories known. Whether you’ve read her work or not, you may have heard that Emily Dickinson was a reclusive spinster who didn’t want to publish her poems while she was alive. Her letters prove otherwise, yet her queer truth is still buried behind bad biographies and literal erasures. 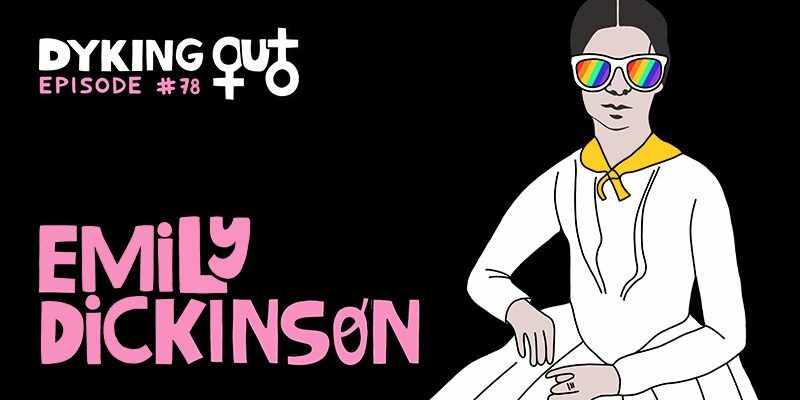 Filmmaker Madeleine Olnek came by to dyke out about Emily Dickinson’s lesbian life and promote her film that brings it to life. Out April 12 in select markets, you MUST see Wild Nights With Emily starring Molly Shannon. You’ll laugh, you’ll cry, you’ll lookup every important woman who has ever been deemed a spinster and take a second look at their life. Introducing the first episode of the Dyking Out podcast hosted by lesbian comedians Carolyn Bergier and Sarah York! 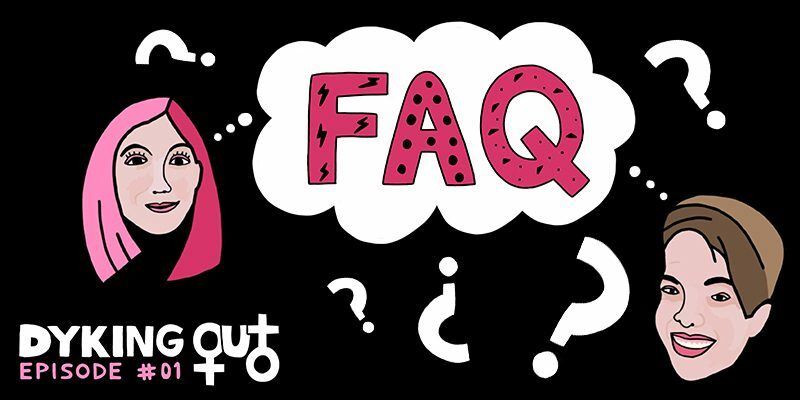 In this first episode, we answer some frequently asked questions about lesbians and the LGBTQ world so that we’re all on the same page in future episodes. Usually we would dyke out with a special guest, but because this is our first episode, we thought we should set the record (not) straight on some important questions submitted by past acquaintances, future listeners, pop superstars, and sentient objects. So please, dyke out with us, won’t you? Follow us on Twitter, Facebook, Instagram, and Leave Us a Review!